Before attempting yoke tuning, be sure you are shooting with good form and have a torque free gripping style. Yoke tuning can play a big role when it comes to paper tuning your bow. 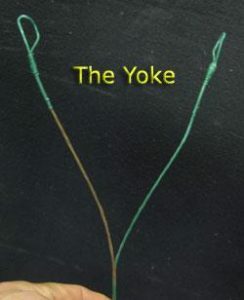 Yoke tuning is the adjustment of control cable where it splits or becomes a “yoke” in order to achieve a flawless path of movement for the string. 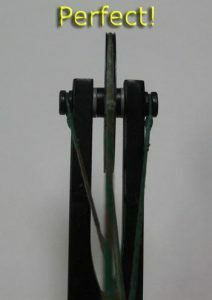 When properly yoke tuned, the bowstring will track off the idler wheel straight at full draw, without veering to the right or the left. 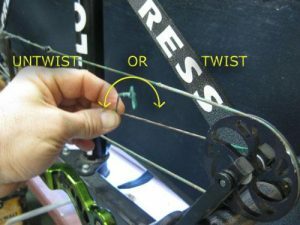 If the bowstring is not coming off the idler wheel straight at full draw, then it will not enter the idler wheel string channel fluently and will cause left to right string whip at the nocking point during the shot. Follow the following steps to yoke tune your solocam bow. First check and see if yoke tuning is necessary. Bring the bow to full draw and anchor for a shot. Look up at the Idler wheel and see how the string is coming off it. If it is coming straight off the idler wheel, then you do not need to yoke tune, but if it is coming off towards one side or another you should yoke tune. The pictures below are exaggerated situations to clearly show improper idler wheel lean before yoke tuning. To adjust the yoke we must press the bow and lessen the tension on the control cable. After pressing the bow, we should be able to take the control cable off the top axle pin of the bow. Once you remove the yoke, it is now time to twist or untwist each side of the yoke to achieve proper alignment at full draw.. Study how each side of the yoke has been previously twisted before twisting it on your own. You should do one side at a time (one full twist is a good starting point) and then reattach it to the axle pin. Then do the other side. 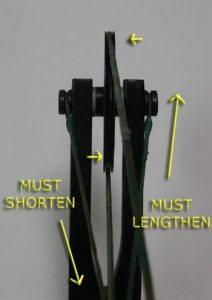 If you twist to shorten one side, you must untwist to lengthen the other side. This will keep your axle to axle measurement from changing. Continue this process until you achieve a proper trajectory off the idler wheel at full draw. Now it’s time to shoot an arrow through paper. If you have a great looking rip through the paper, then great! 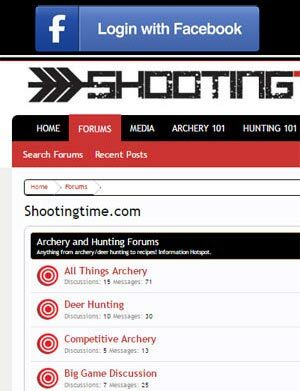 If you don’t, it’s time to look at some other issues with the bow. 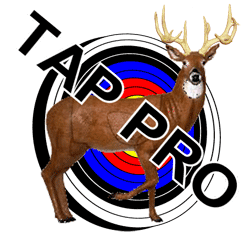 Is the centershot at the right distance off the riser? Are you torquing the bow? If everything else seems great with the bow, you can now return to yoke tuning in an attempt to perfect your rip. Sometimes, although we have the bowstring tracking straight off the cam(s) and idler wheel, we still may get a left or right tear while paper tuning. 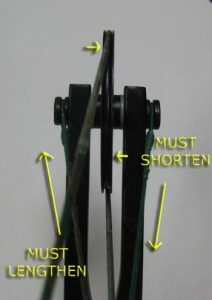 If your form is solid, the bow is to spec, and centershot is set properly, you can try to yoke tune to correct the rip. If you are experiencing a left tear in the paper, put a twist into the left side of the yoke and take one out of the right side. If you are experiencing a right tear while paper tuning, put a twist into the right side of the yoke and take one out of the left. As you dial it in, you may choose to only do half turns in each yoke. When yoke tuning to achieve a perfect paper tune, common sense applies. If you’re not seeing any improvement, don’t tilt or cant the cam or idler wheel until the string derails during the shot. There probably is another issue with the bow that needs to be addressed. If this is the case, return the yoke tune back to where the string is tracking straight off the top cam or wheel and look at other things like your centershot or limbs.